We're following the Florida Wildlife Corridor Expedition as they hike, bike and kayak nearly 1,000 miles in 70 days from Central Florida, through the Panhandle to the Alabama State line. They recently visited one of the rarest ecosystems in the world. 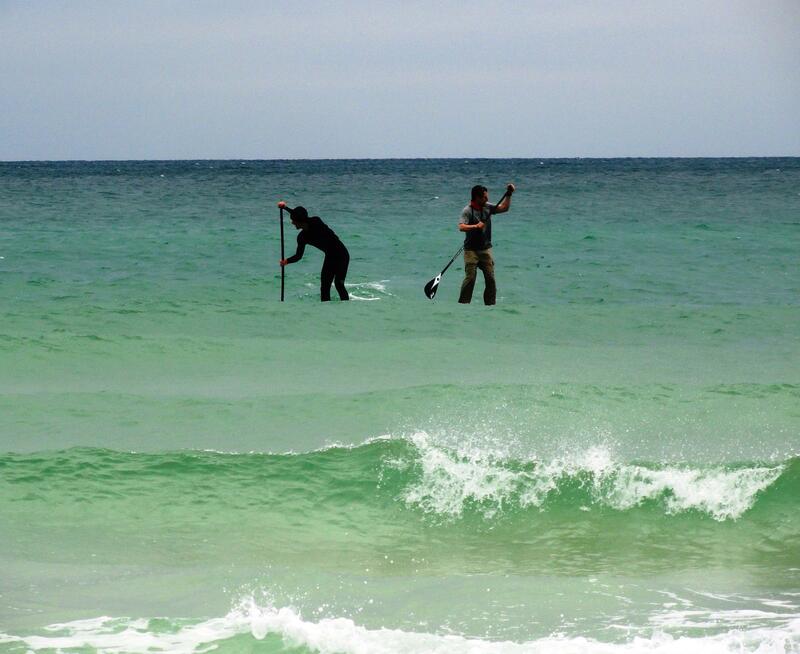 The Coastal Dune Lakes are where blackwater lakes mix with the green of the Gulf of Mexico. We went along with them for a paddle in one of these lakes. We're at Day 50 of the expedition's 70-day trip. A stiff headwind is blowing out of the northeast, bringing 20-mile-per hour winds. Dark clouds threaten rain to the west. 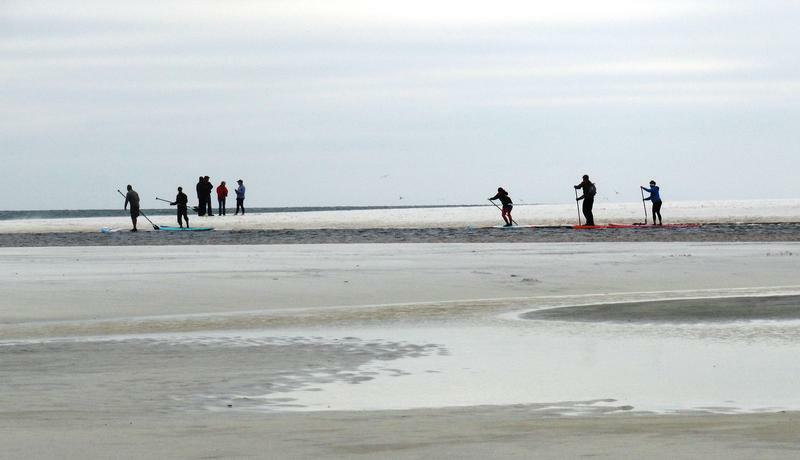 A group of about 15 hard-core paddlers bring their kayaks and paddleboards for an outing at Grayton Beach State Park in the western Panhandle. "It's kind of like the rites of passage. If you have pain and misery, it sears it in your memory awhile," says expedition founder and photographer Carlton Ward Jr., who's regaling them with recent tales of their trip. He warns them an adventure isn't really an adventure until things go wrong. "I drowned three cameras in one day," he tells the group of a recent paddle on the Econfina Creek, near Panama City Beach. "Two of them got resurrected. A GoPro got baked in the oven - it works again. My Nikon baked in the oven for awhile - it still doesn't work. The one that cost you. A little waterproof Nikon was just slightly fogged and it works too. Slightly resurrected." He spoke as the group readies to brave the wind in Western Lake, which ends just a few yards from the pounding surf of the Gulf of Mexico. Jeff Archer, CEO of Yolo Board in Santa Rosa Beach, leads the group into the water. "It'll either be real easy to paddle up to the beach, or it might get shallower water, where we have to walk the boards a little bit," he tells them. "But you'll get to see how that drains and pops off into the Gulf and opens back up." 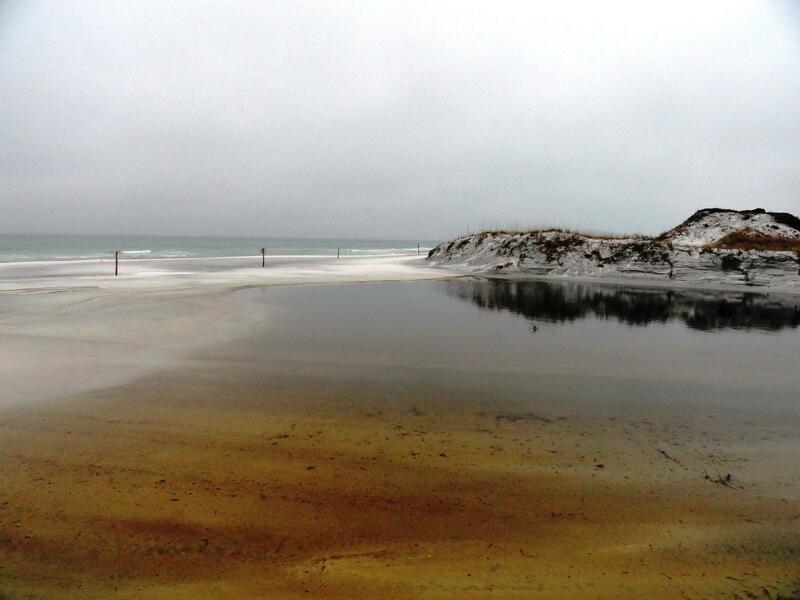 Earlier that morning, I visited another of these rare Coastal Dune Lakes, a few miles to the west. I'm walking down the boardwalk at Topsail Hill State Park in the Panhandle. It's about 6:30 in the morning - the sun is trying to break through the haze of a dreary, overcast sky. 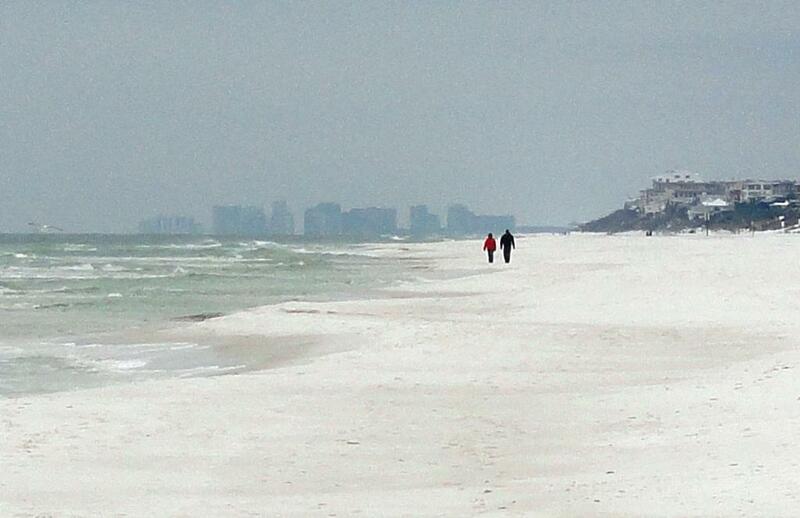 On my left is the green waters of the Gulf of Mexico, pounding away at the beach. And just about 50 yards inland is black water of a lake, that is framed by about 20-foot-high sand dunes. 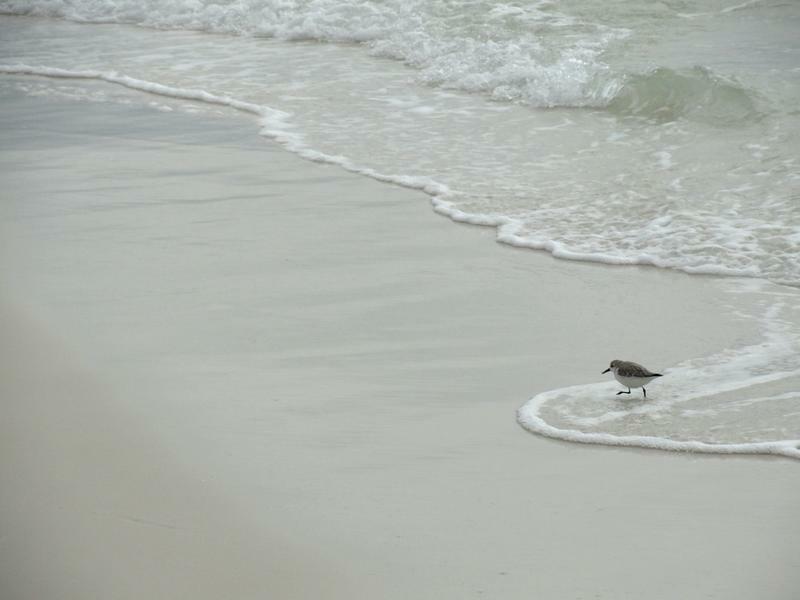 What happens is that when it rains a lot, the water breaks through the sand dunes and flows into the Gulf, letting all that salt water flow back in. This totally changes the marine ecology of the lake for days at a time, until the sand silts up again, and becomes black water again in the lake. "Topsail has got 26 or 28 different ecosystems, which is quite amazing," says Lori Ceier, a master naturalist and publisher of Walton Outdoors. 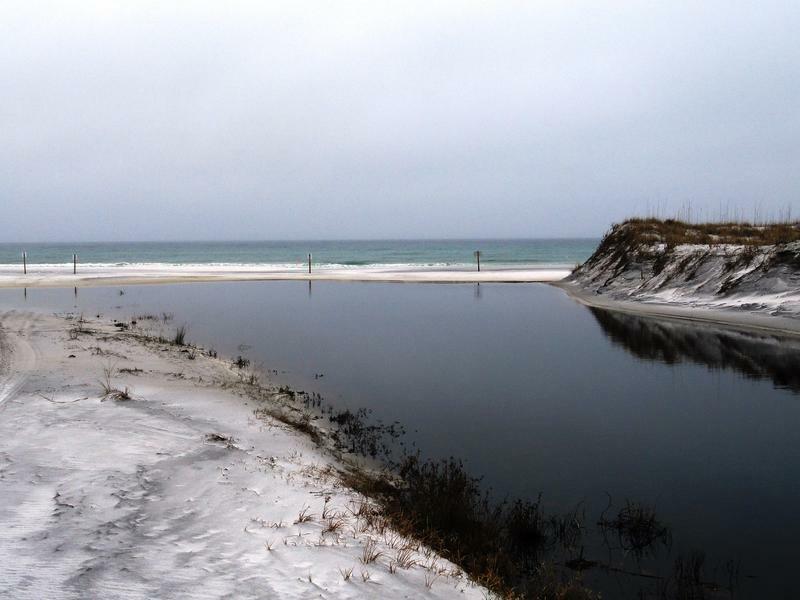 She says the Coastal Dune Lakes are one of the rarest ecosystems in the world. They're found only in few places, like coastal Oregon, Madagascar and Australia. But just like any special place, once it's discovered, the pressure for development can eventually overwhelm its beauty. Towering homes four stories high crowd the shores around Western Lake. 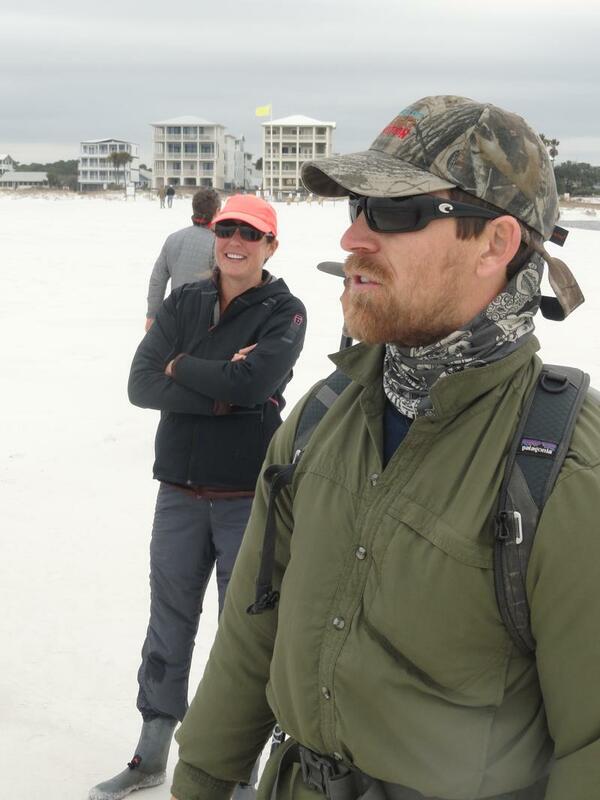 Ceier tells expedition leader Mallory Lykes Dimmitt this kind of pressure is being found through many of the Coastal Dune Lakes. "That's another issue with development. Some houses are getting mighty close to the outfalls," she says. 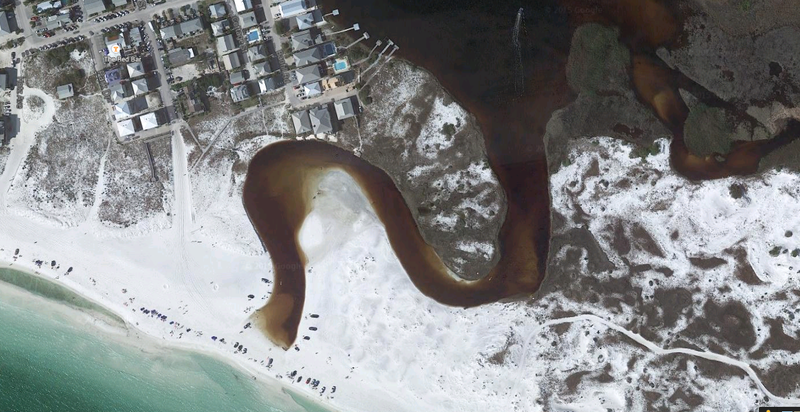 Says Dimmitt: "And they have to have wide enough space so that the natural processes of shifting sand dunes are meant to roll back on each other, and a dune lake is just like a river. It needs to change that migration path constantly." "It's being an issue, especially with runoff and septic," says Ceier. "So they're in the process of trying to eliminate those issues that intrude on the water. They're just a coastal treasure. Everyone loves them here and we try to protect them as much as we can. 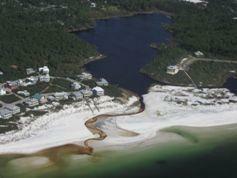 But Ceir says it's a constant struggle to defend the natural state of the Coastal Dune Lakes. "Just recently, there was a development that wanted to put in their own private 1,060-foot boardwalk - right through the middle of Topsail Hill Preserve State Park. And it almost happened - if it wasn't for people standing up and objecting. You know, these few snippets of beauty that we have left - those are the gems that we need to conserve." And Archer believes some people who live here are motivated to keep protecting these rare lakes. 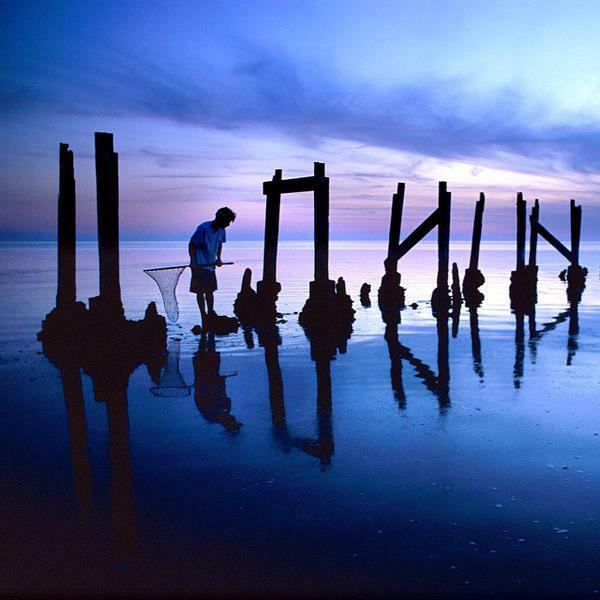 "People really understand," he says, "that the Coastal Dune Lakes are something special to keep." This Saturday, March 7, the expedition will participate in a "Black Bear Affair" trail mixer at the E.O. Wilson Biophilia Center, at 4956 State Highway 20 E. in Freeport, open to the public. The expedition members recently were in the WUSF studios for a taping of Florida Matters. You can listen to it here. And you can revisit our coverage of the original 2012 expedition in our archives. 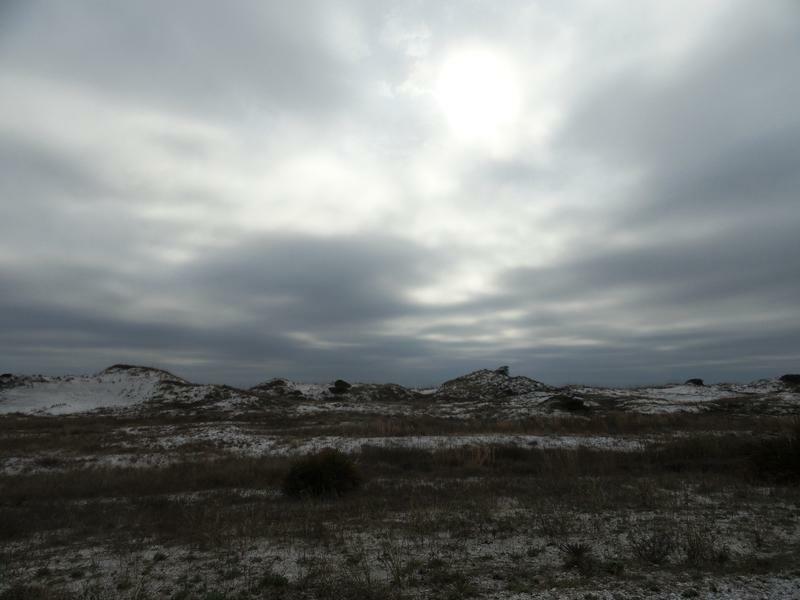 You can learn more about the Coastal Dune Lakes on April 2, when WUSF TV will premiere a documentary on this unique ecosystem. It's produced by Elam Stoltzfus, who filmed the documentary of the Florida Wildlife Corridor Expedition's first trip, back in 2012. WUSF is following the Florida Wildlife Corridor Expedition as they bike, hike and kayak from Central Florida through the Panhandle to the Alabama state line. 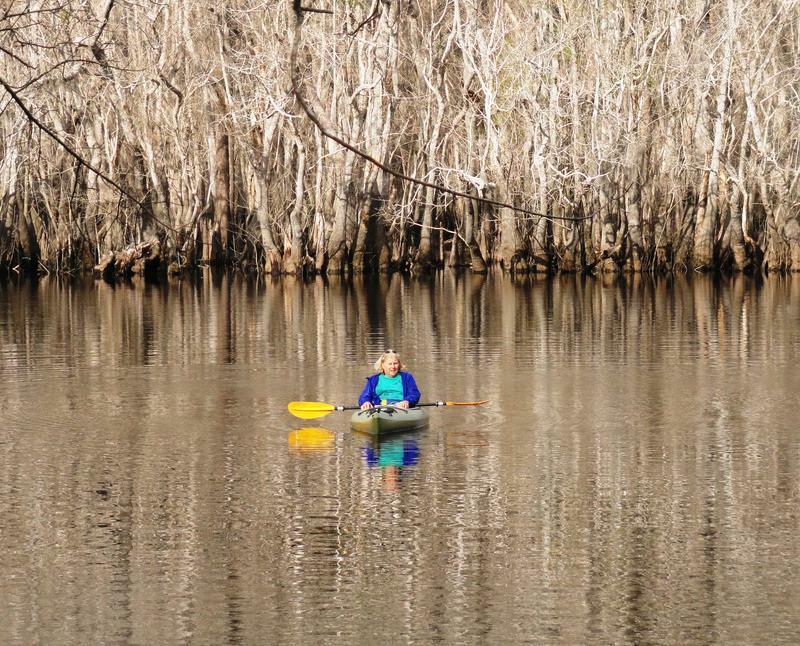 The three conservationists recently kayaked down the Apalachicola River. It's at the heart of a water war pitting three states that has reached all the way to the U.S. Supreme Court. We met up with the group and paddled 50 miles downstream, where the river meets the Gulf of Mexico. Their trip started on the coldest day of the year. The Florida Wildlife Corridor Expedition is biking, hiking and kayaking from Central Florida through the Panhandle to the Alabama state line. The three conservationists are trying to call attention to the need to preserve what they call the corridor's "integrity" --- an unbroken pathway for wildlife to travel. They recently led about 75 enthusiasts on a hike through the wetlands of the St. Marks Wildlife Refuge. WUSF is following the Florida Wildlife Corridor Expedition as they bike, hike and kayak from Central Florida through the Panhandle to the Alabama state line. The three conservationists recently visited the coastal hamlet of Steinhatchee, deep in the Nature Coast. We paddled with them down the Steinhatchee River, fording some falls and getting a lesson in how much preserving the lands can spark Florida's economy. 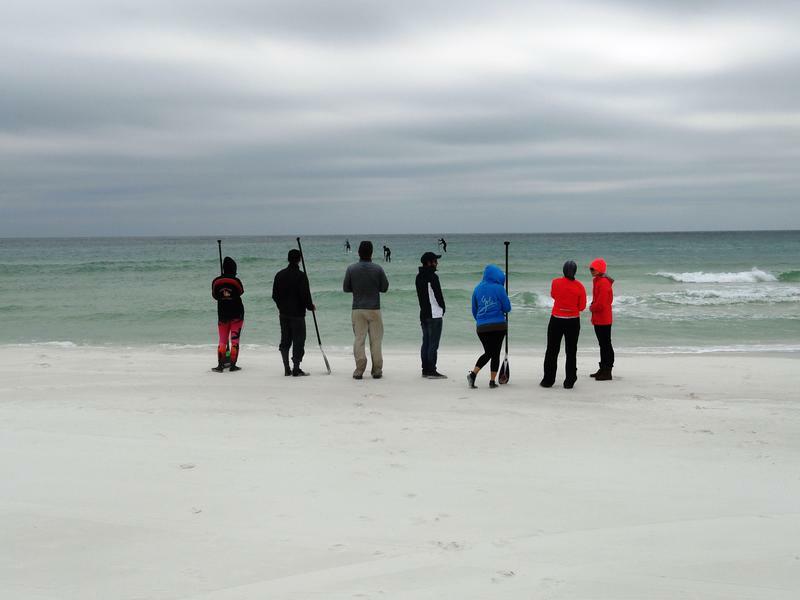 WUSF is following the Florida Wildlife Corridor Expedition as they bike, hike and kayak from Central Florida through the Panhandle to the Alabama state line. 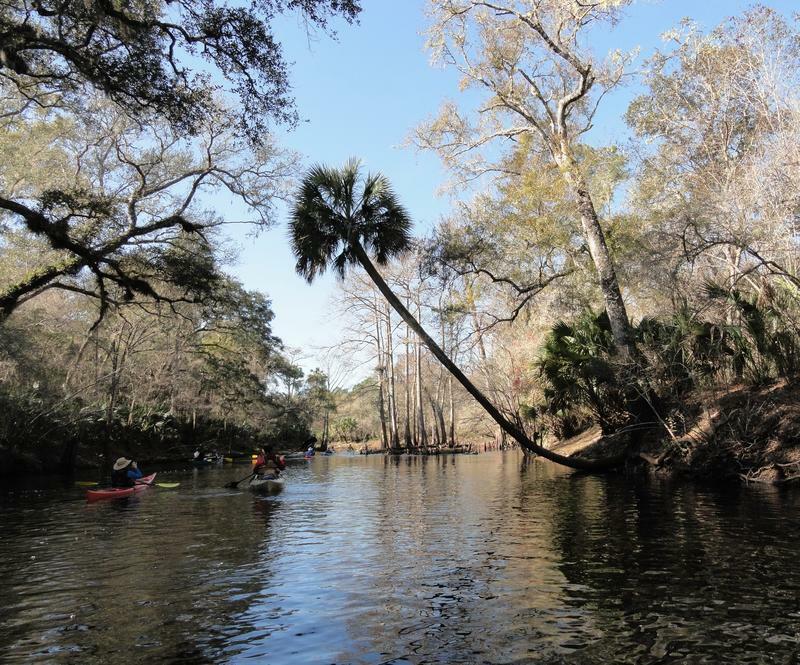 The three conservationists recently paddled down the Withlacoochee River from the Green Swamp to the Gulf Coast. 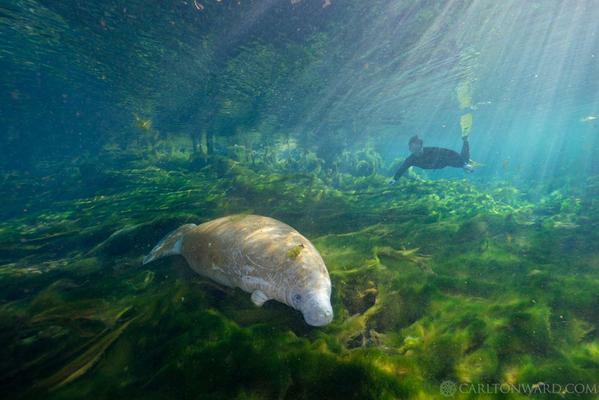 We tagged along with them for a trip back to primeval Florida - paddling down one of the state's most pristine springs. The Florida Wildlife Corridor Expedition is crossing the state to bring attention to Florida's wilderness and the need to connect it all. Expedition members Mallory Lykes Dimmitt, Joe Guthrie and Carlton Ward recently met up with several dozen friends and fellow environmentalists in their first "trail mixer" along the Withlacoochee River.